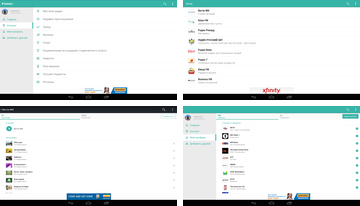 App Stitcher Radio for Podcasts created for those android users who like to listen various radio broadcasts. 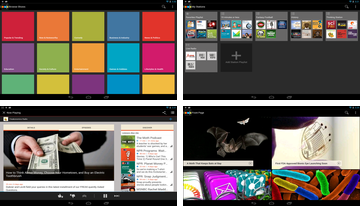 Do not stop listening to your favorite radio programs and discover the best podcasts thanks to this application! Appendix AUPEO! Personal Radio is a client for online radio containing free radio stations, to recruit his playlist and get a great experience in this field. Join a stream of your favorite artists, listen to your favorite songs and music that will break into your android for free! 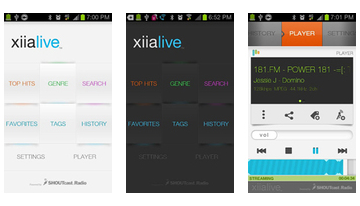 The program XiiaLive ™ Pro - Internet Radio is a very convenient and irreplaceable internet radio for android, easy search, the presence of tags, the ability to save radio stations and quick access at any convenient time. 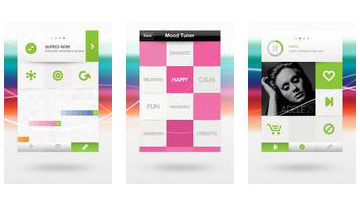 At present, the application includes more than 50,000 radio stations, enjoy your favorite music! 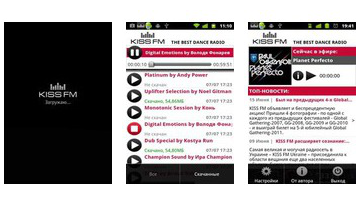 Kiss FM Ukraine - It is a mobile version of the famous Ukrainian radio KISS FM. KISS FM - perhaps the residence of the best DJs of the world and Ukraine, on the radio sounded unique and the best miksshou from: Armin Van Buuren, Carl Cox, Tiesto, Above Beyond, Paul Oakenfold, Spartaque, Mays, Nastia, Lutique, Light, Kon, Tapolsky etc. I think about that radio should not talk much about it and so know all the best radio in the world and it is only in Ukraine! The application can change the sound quality of the radio, and so when downloading additional plug-in may play a track record. Tele.fm - A program that defines itself as a TV channel or radio station you are watching or listening to at the moment, and provides related information: the annotation on the current program, the schedule for a few hours ahead, announcements of interesting programs, and more, and also allows You will instantly send your comments and ratings to Twitter and read what others have written viewers / listeners of the program in real time.